Each time I lectured in that classroom, I would stare at an empty chair, asking myself if there was something I could have done to save a life. He was a freshman engineering student from a small town. His classmates said they never noticed anything wrong with him. His parents likewise observed no unusual behavior exhibited by their only child. Everything seemed normal and usual with this boy’s life until he was seen hanging on a nylon rope fastened on a wooden beam. As a teacher, it was my first encounter with suicide by a student. And it was not to be the last. By all indicators, suicide cases are on the rise in the Philippines. According to the National Statistics Office, the suicide rate from 1984 to 2005 went up by 1,522% among men (from 0.46 to seven out of every 200,000); and up by 833% among women (from 0.24 to two for every 200,000). Noticeably, there is an increasing trend of suicide among the youth, particularly in the age group 5 to 14 and 15 to 24. 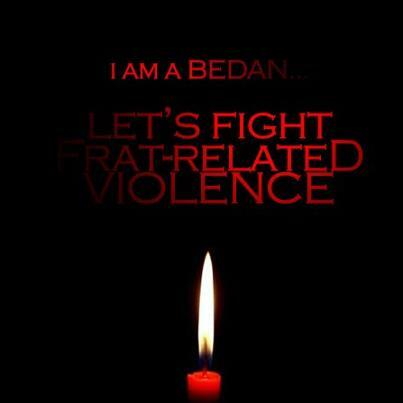 Most of them kill themselves by strangulation. Other means are suffocation, poisoning, and exposure to chemicals and noxious substances. The common causes are depression, love problems, academics, low income, unemployment, and medical conditions. It is easy to blame suicide victims for being weak. Others may even criticize them for being selfish—thinking only of themselves, and not of those they will leave behind. But what really runs in the mind of a person determined to take his life? I have some idea, for I too seriously had thoughts of ending my life when I was a teenager. It was the end of my third year in college, and I was at the height of popularity in school. That semester, I was sent to international competitions, became the most awarded student leader, and was recognized as one of the top students. Everyone was so proud of me. People shook my hand to congratulate me for my achievements. I was, to many, a model student. But something terrible happened, suddenly. I received a failing grade in one of my major subjects. It was unexpected and I was sure I did not deserve it. The professor claimed absolute right to manipulate how grades were to be computed. It was very clear to me that it was unfair. My world crumbled. Because of the failing mark, I was sure that I would lose my scholarship, and would miss my chance to graduate with honors. Word about my failure spread quickly around the campus, and those who were just congratulating me a few days back began looking at me with pity, if not ridicule. I was up in the clouds one moment, and down to a very dark space the next. Night and day, I locked up in my room, stared at the ceiling, deeply convinced that life was no longer worth living. I tried to justify suicide with philosophical musings. I also thought of the professor who gave me a failing grade, and imagined how guilty he would feel about my death. Decided to commit suicide after five days of isolation, I went to Binondo to buy the most toxic substance I could ingest (a powerful pesticide whose mere vapor could make my lungs collapse). Before going home, I dropped by a Chinese restaurant for a last meal. When I arrived at the dorm, I lay down in bed again, stared blankly at the ceiling, and imagined my impending death one last time. My suicide plan did not materialize, and, obviously, I have lived to tell this story. Three things kept the poison bottle unopened: thoughts of my family, the graphic images of hell on my mind, but what really saved me was a persistent knock on my door by a dormmate. He sensed that something was wrong, and urged me to talk about it. He convinced me not to push through with my plan. In the next days, I decided to pick up the pieces and live with courage. I filed an appeal for my scholarship, and, after a long process, San Beda (which was apparently more compassionate than Kristel Tejada’s UP) decided not to revoke it. As it turned out, there was no explicit rule that barred those who had failing grades from receiving academic awards. And so I graduated with honors, although they had to change the rules after I graduated, making me the school’s one and only honor graduate with a 5.0 on his transcript. A few years after graduation, I visited my alma mater and accidentally crossed paths with my professor—that professor who led me to the brink of suicide. He said he was impressed with one of my articles published in a national newspaper, and that he required his students to read my work. He said he heard that I was offered a job in Malacañang, and that he was proud of me. This picture of my professor smiling at me and tapping my shoulder in a show of approval was the exact opposite of what I imagined on my could-have-been death bed: a professor crying in guilt in front of my coffin. Of course, not only young people commit suicide. Military generals. Politicians. Politician’s wives. Actors. Models. Teachers. Lawyers. Farmers. We hear of them claiming their lives, and the worse part is that we are getting used to it, or, at least, have become insensitive to the suffering of others. Suicide may be a very personal thing and one could even strongly argue that society must respect an individual’s choice to end his life. But what about those who only need a listening ear and some words of hope to make them realize, the way I realized then, that life can still be beautiful? 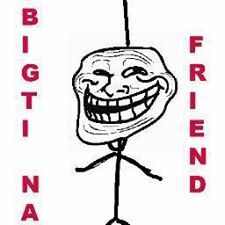 In social networking sites, the expressions “bigti na” (#bigtina) has become popular. It is offered as an advice, though made in jest, to people who have problems. There are several Facebook “Bigti na” pages, followed by tens of thousands, created for those who are romantically problematic. 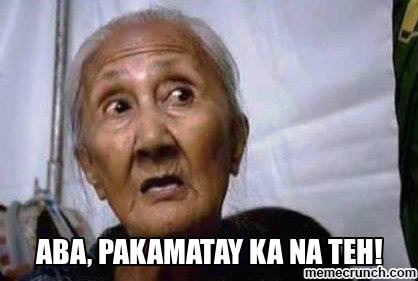 Thousands of “Magpakamatay ka na lang” memes have also been going around the web. It is appalling that, to date, there seems to be an absence of a government-sponsored program to avert suicide cases in our country which surprisingly has, according to the World Health Organization, the highest incidence of depression in Southeast Asia. But it is more appalling that a growing number of our people are making fun of a phenomenon that has caused unspeakable pain to many. Amidst mindless laughter, we might be missing out on the soft voices of suffering around us. Or we might be pushing to total silence those who desperately need to be heard. 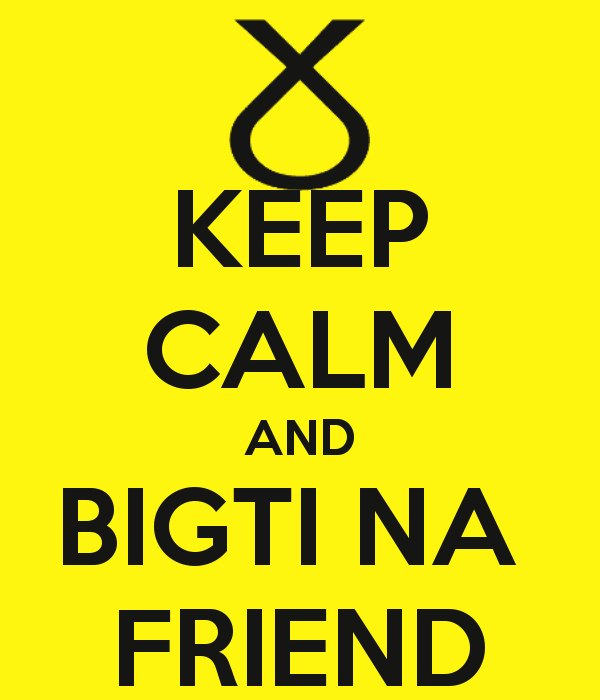 Bigti na, friend? 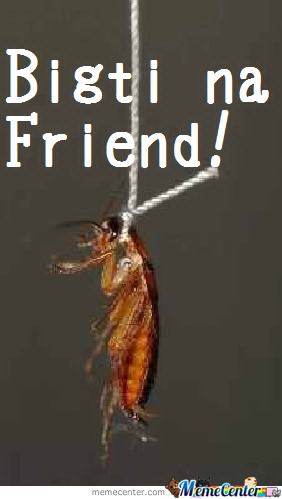 That joke is neither friendly nor funny. In my senior year in high school, I ran for president of our student government. I knew I was qualified for the post and had all the best intentions. My mind brimming with ideas for programs and projects for my schoolmates, I really tried to campaign hard so I could win. I made very creative and informative flyers, did a room-to-room campaign, and smiled wider and more often than I usually would. The frustratingly close margin notwithstanding, I was a graceful loser. I conceded defeat, congratulated Henry Barroga—my opponent, winner by a single vote—and pledged him my support. I remained active in student organizations and collaborated with Henry on some projects. I still tried to make a difference in my own sphere of influence. I did not need to prove anything; I really just wanted to serve. At the end of the school year, I ended up being chosen over Henry for the prestigious Gerry Roxas Leadership Award. I would see Henry again after many years. He is now successful in his career and has a happy family life. We had fun reminiscing the past. I was deeply moved by our mutual respect for each other. Indeed, it is commendable to accept defeat in elections, especially in the Philippine context where most politicians proclaim only two things: either they won or they were cheated. Bowing to the electoral judgment of the majority is one important democratic principle we should thus seriously teach our children. But what, dear karikna, if the elections were not clean, honest, and orderly? What if this democratic exercise itself casts doubt on the sovereign will? At the risk of being suspected once more by Del, a valued blog follower I have not met, as a propagandist of the Fariñases, let me say that I only have respect for my congressman, Rodolfo Fariñas, And this respect extends to his adorable kids. 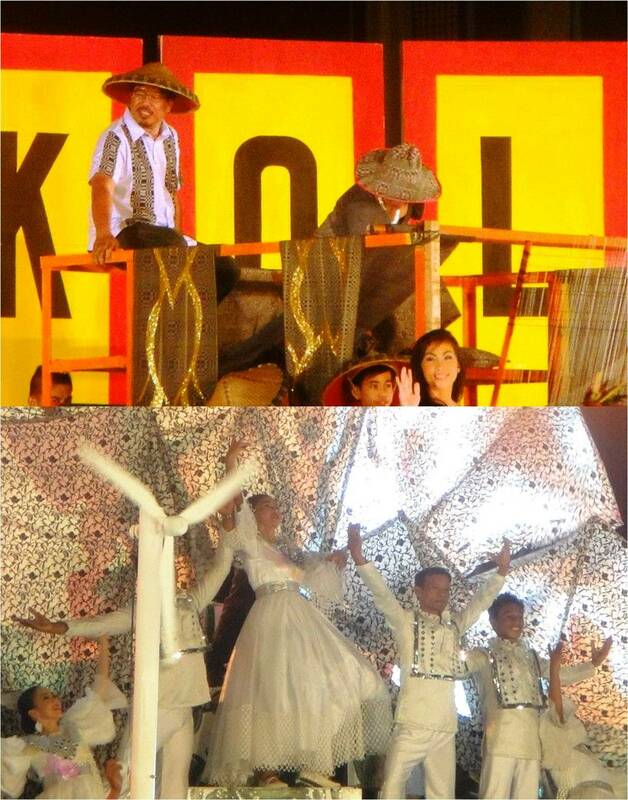 In the months leading to the 2010 elections, then serving as panelist in a debate-forum participated in by congressional candidates in Ilocos Norte’s first district, I noted that while Fariñas had views totally different from mine regarding two issues I deemed important, namely the Reproductive Health Bill and the abolition of the Sangguniang Kabataan, his brilliance and eloquence make it impossible to ignore his views. Surely, this bar topnotcher, unlike Iskul Bukol alumnus and Philippine Senator Tito Sotto, has a brilliant mind. Recent developments, however, lead me to write, yet again, about the Sangguniang Kabataan which, incidentally, is headed here in this province by JR (Rodolfo Jr), one of the congressman’s lovely kids. Based on a report filed by The Ilocos Times staff reporter Leilanie Adriano, JR, the incumbent SK Ilocos Norte Federated president and ex-officio provincial board member, as in the cases of previous youth officials before him, has recorded the most number of absences at the Sangguniang Panlalawigan sessions. Every Monday afternoon, the young Fariñas’ seat and table at the back row of the session hall is unoccupied, and based on records of the provincial board’s secretariat, the young Farinas has been absent for 42 sessions since he assumed his post in February 2011. The board’s attendance record shows that Farinas has a total of 42 absences (official leaves of absences) and two missed sessions while on official business. Having attended only 38 sessions, he has been more not there than there. Still according to Leilanie’s report, on several occasions wherein JR was present, like on August 28, his latest attendance at the provincial board, he stayed only for a few minutes and left the session hall while other board members were deliberating for the passage of draft provincial ordinances and resolutions scheduled in the agenda. Leilanie’s research reveals that, to date, Farinas has so far sponsored at least 12 provincial resolutions, all endorsements for the conversion of roads in various municipalities of the first district of Ilocos Norte, his father’s turf. JR’s chronic absences prompted Vice Governor Angelo Marcos Barba, the board’s presiding officer, to soon hold a meeting to tackle about Farinas’ absences. “The law is the law. We will adhere to our local government code and act on it,” Barba reportedly said shortly after noticing Farinas’ absence during the September 3 regular session. “The Sangguniang Panlalawigan can only remove regular members, the elected councilors. The SK has its own by-laws. My son is 16 years old. Ana’t trabahona nga SK president ket agbasa met Manila? (What work can he do as SK president when he is studying in Manila?) He is even a minor, he cannot decide without my permission,” the older Fariñas, whose two other sons have likewise previously served as SK Federated presidents of Ilocos Norte and Laoag City, said on record. 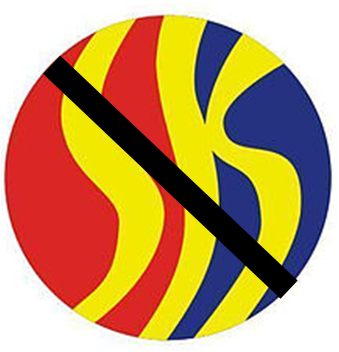 The congressman underscored that only the SK members themselves, if they want to, can remove him. “Not even the president or the office of the Department of Interior and Local Government can remove an SK official because it is a violation of their autonomy,” he added. While referring to the Ilocos Norte board led by the vice governor, Farinas quipped, “Dida koma ammo’t ar-aramidenda no awan tay barok? As youth representative, saling-pusa da lang dagita” (Won’t they know what to do without my son? As youth representatives, they (the SK) are just saling pusa), he said. Personally, dear karikna, I do not push for JR’s removal from office, and I am not even amenable of having him punished for prioritizing his A.B. Sociology studies at the University of Sto. Tomas in Manila. Indeed, it should make us all proud that this young Ilocano is doing well as a college student and also as a talent of ABS-CBN’s Star Magic.